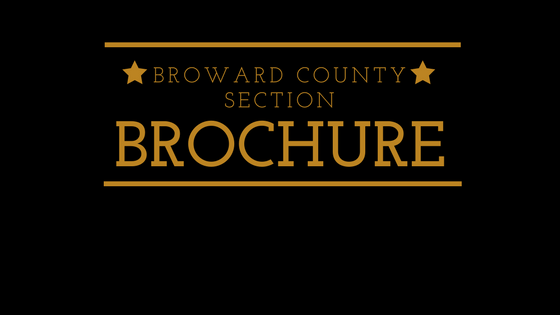 The Section started as an interest group in September 2015, however, it was founded as a chartered Section on April 27, 2016 and is operating with over one hundred members in Broward County Florida. 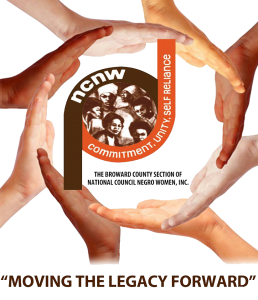 The members, however many, have committed to support, commit, educate and advocate in this great County for women and girls of African descent as they care for their families and community. The Broward County Section has had many opportunities to care for the communities in which they are called to serve. Being a part of the Foster Child transition, we provided duffle bags and toys for children of veterans. Our Easter EGGtravaganza encouraged, educated and empowered children in various neighborhoods. Our Global Initiatives purchased goats to provide continuous food for African families. They also sent an array of toiletries and other items to Haiti for families after a devastating hurricane. As president, I am proud to be a part of this Section’s commitment to the community. When you join the Section, there is much work to be done, and we love to share that responsibility with those who come prepared to serve a great cause. We will continue to move the legacy of our founder, Dr. Mary McLeod Bethune, forward. Her zeal for education, empowerment and advocacy live on in the committees and initiatives we choose to foster. Our President Emeritus, Dr. Dorothy I. Height, also left us a tall order – and with our current President, Ingrid Saunders Jones, the legacy lives on!